While there are some serious disputes over the monuments, representing various eras in the history of the post-Soviet states, people in Kazakhstan are quite tolerant to such endeavors. 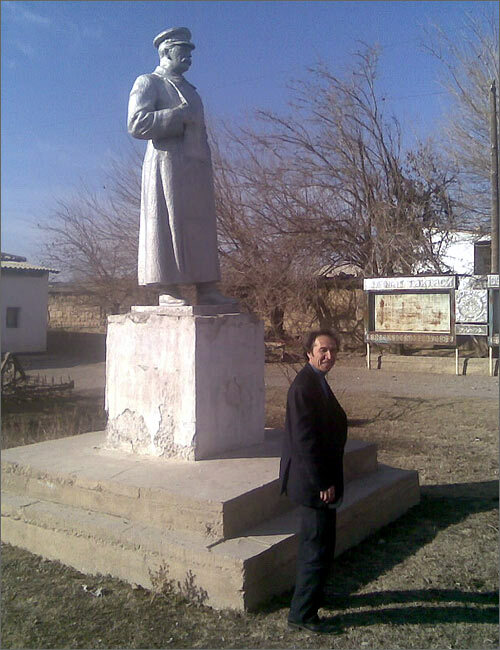 For instance, Stalin’s monument is still located in Ikan area, close to the city of Turkestan in Southern Kazakhstan oblast of Kazakhstan. Today, nobody can say for sure when it was erected. In the 1980s the representatives of the Oblast administration were going to liquidate the monument. However, at that time they faced the protests from the local aqsaqals. Since that time the statue of Josef Vissarionovich never was the target of objection. The local residents view it as the right way: why to struggle against the past experience? This is the monument of that time and dedicated to that time. Moreover, according to Kazakh citizens, Stalin was not only the symbol of mass repressions. If it was not Stalin the victory of Soviet Union in the Great patriotic war would be possible.